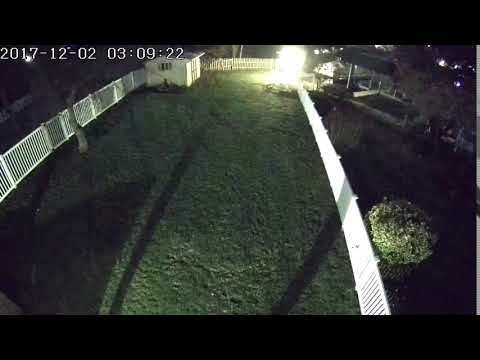 I saw this extremely bright flash which triggered a security camera. Can't actually see whatever it is in the sky but you can see the reflection on the water. I only think it may be a fireball after finding this site and seeing several other reports nearby around the same time. Hope this brief video may be of any use to you.